Ocular area with fine lines, crow’s feet, dark circles or evidence of UV damage. Aqua (water), C12-15 Alkyl Benzoate, Cetyl Alcohol, Dimethiconol, Cetearyl Alcohol, Ceteareth-20, Glyceryl Stearate, PEG-100 Stearate, Hepes, Ascorbyl Glucoside, Acetyl Hexapeptide-8, Glycerin, Steareth-20, Hydroxysuccinimide, Chrysin, Palmitoyl Oligopeptide, Palmitoyl Tetrapeptide-7, Tocopheryl Acetate, Palmitoyl Grape Seed Extract, Ruscus Aculeatus Extract (Butchers Broom), Aesculus Hippocastanum (Horsechestnut) Extract, Avena Sativa (Oat) Kernel Extract, Silica, Talc, Titanium Dioxide, Polyacrylamide, C13-14 Isoparaffin, Laureth-7, Caprylyl Glycol, Hexylene Glycol, Phenoxyethanol, Tertrasodium EDTA. A peptide alternative to botox that attenuates muscle contraction preventing the formation of fine lines and wrinkles. 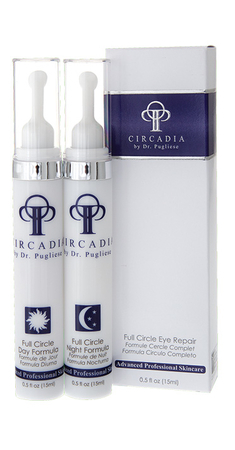 Two peptides work in conjunction to improve firmness and tone of the eye area. Chrysin and N-hydroxysuccinimide stimulate the clearance of deposited blood pigments and solubilize iron for elimination respectively, resulting in the reduction of dark circles. A stabilized form of vitamin C that releases vitamin C at the cell surface to reduce melanin synthesis, lighten existing melanin, act as an antioxidant, and promote collagen synthesis. 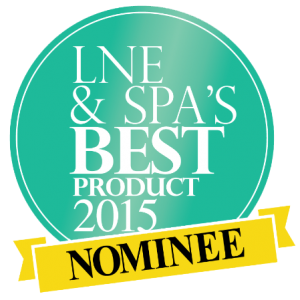 These repair and lightening mechanisms help maintain lighter, younger-looking skin. Contains aescin, which has been shown to have anti-inflammatory effects. Contains Ruscogenins which reduce the appearance and circulation of veins by promoting muscle contractions surrounding the veins. They are also anti-inflammatory and inhibit elastase, thus promoting connective tissue and firmness. Antioxidant complex with protease inhibitors and an anti-inflammatory effect. Apply in the morning, after cleansing and applying Vitamin C Reversal Serum. Gently pat Day Formula around the eye area.